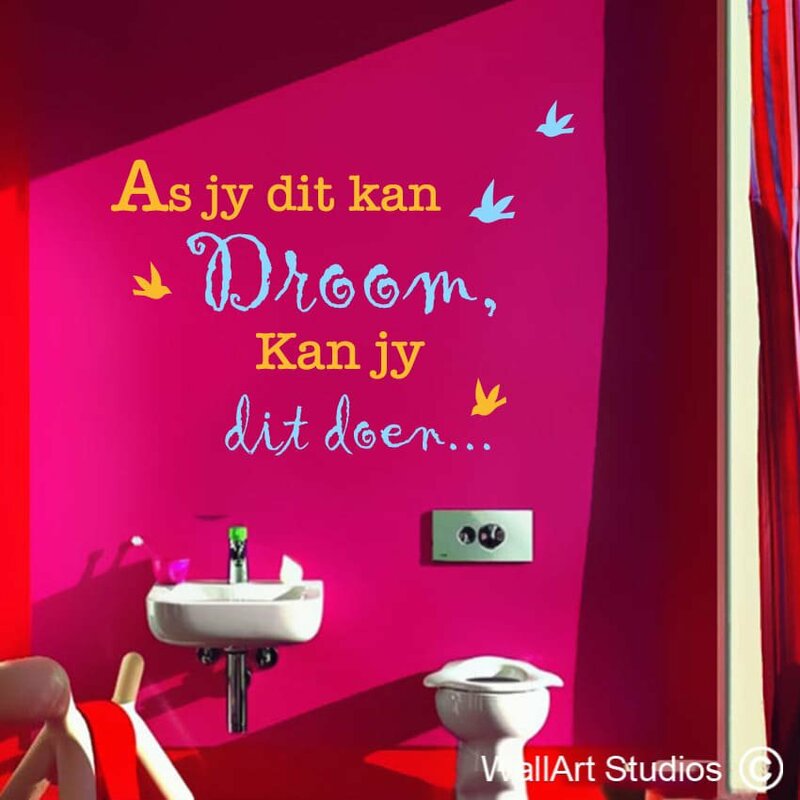 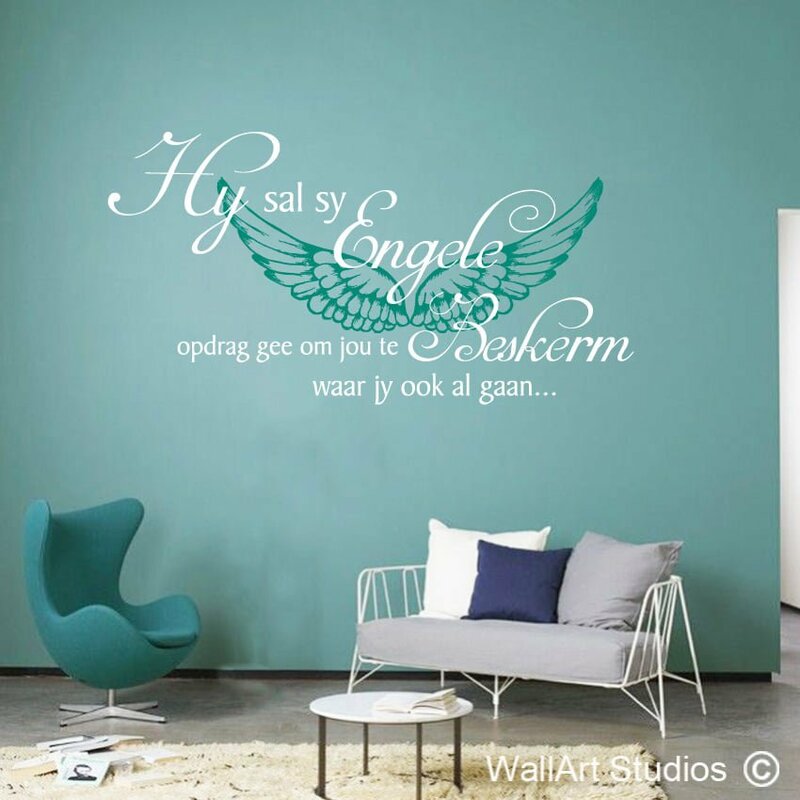 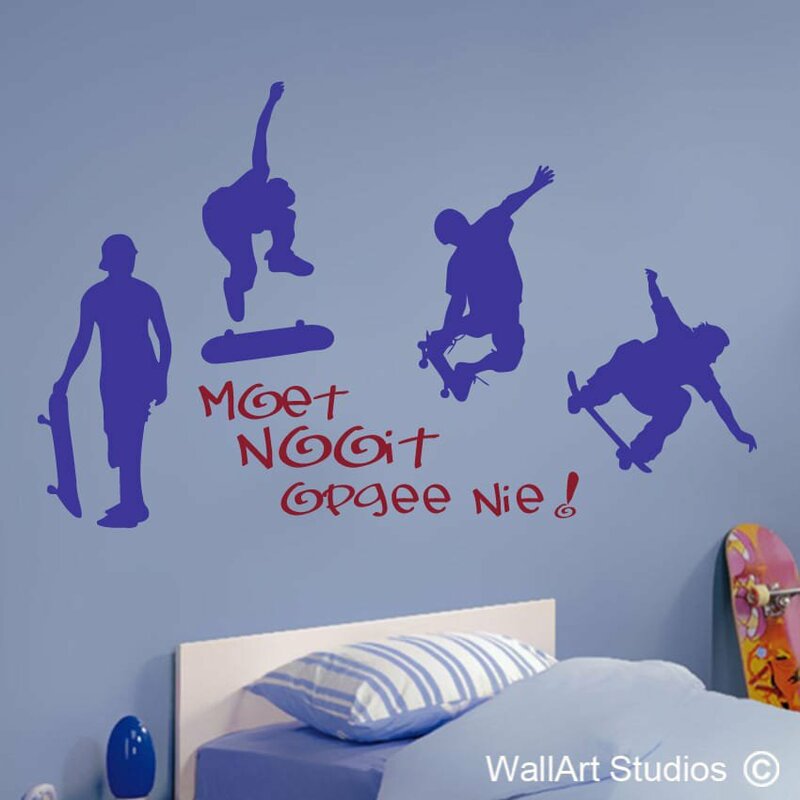 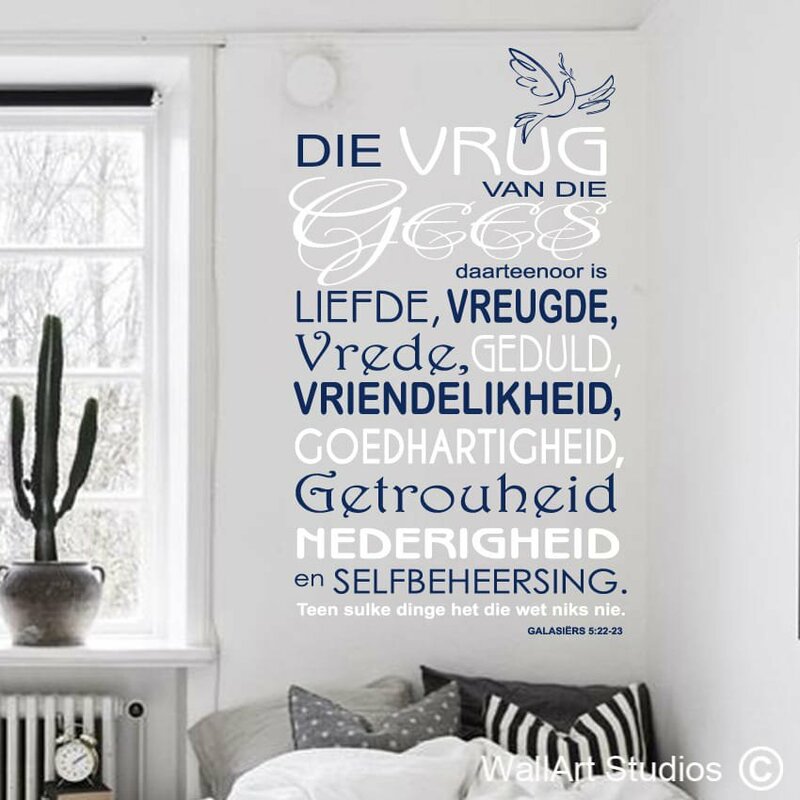 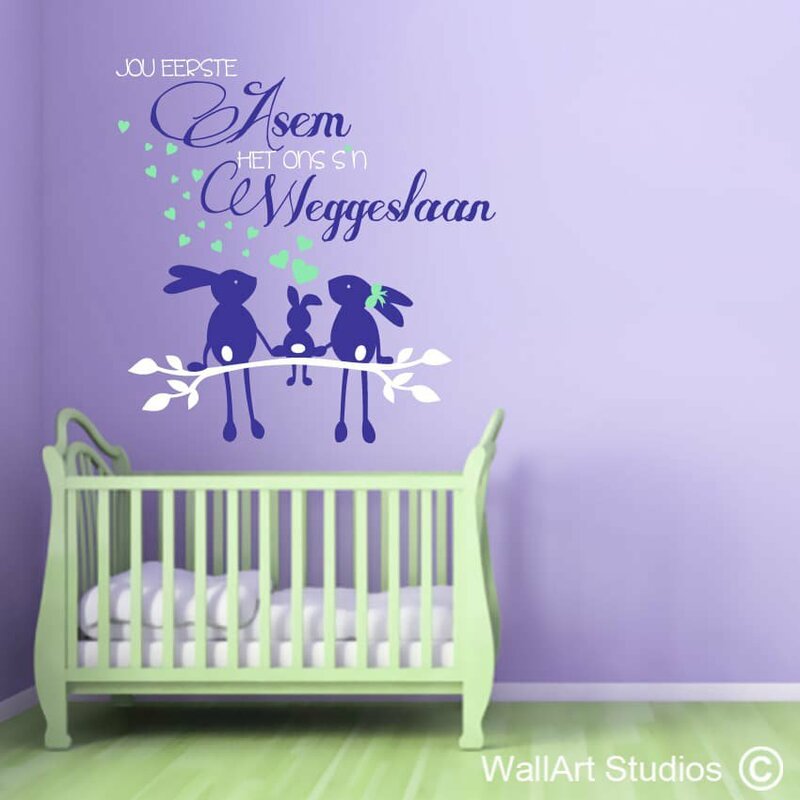 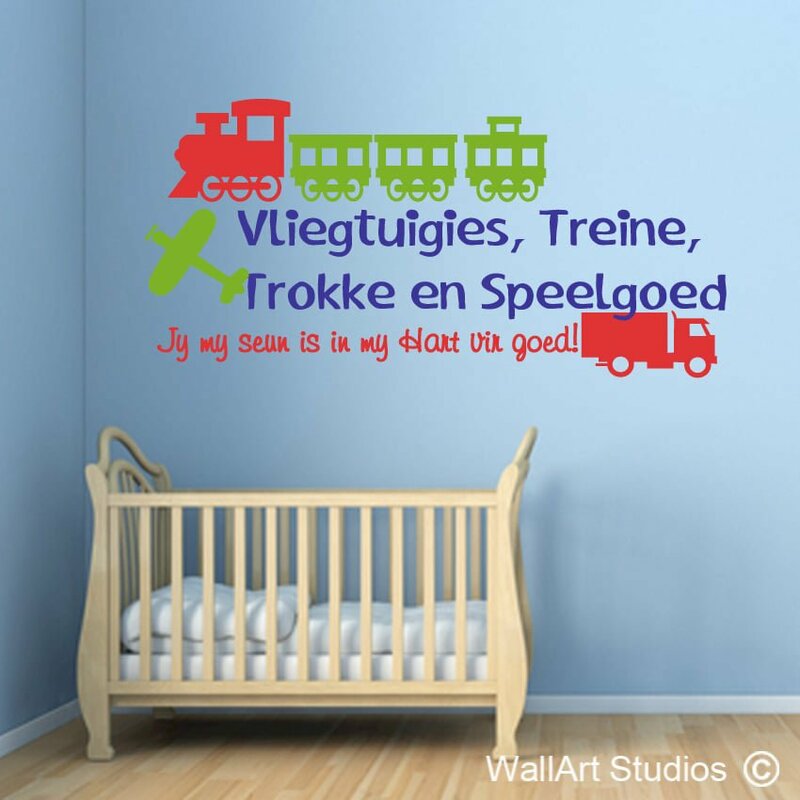 Afrikaans wall art stickers specifically targeted for Afrikaans speaking people. 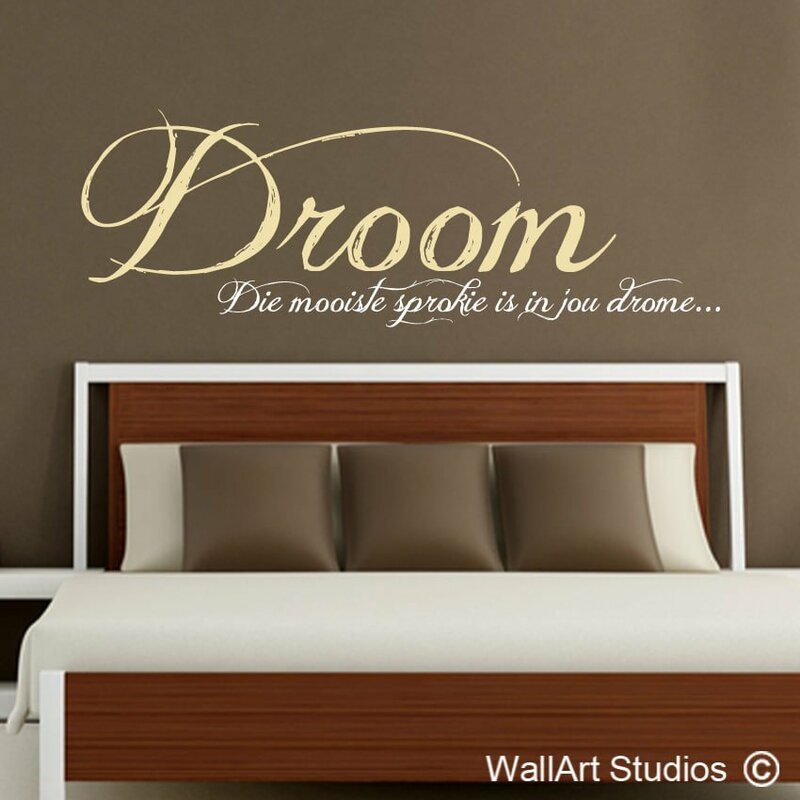 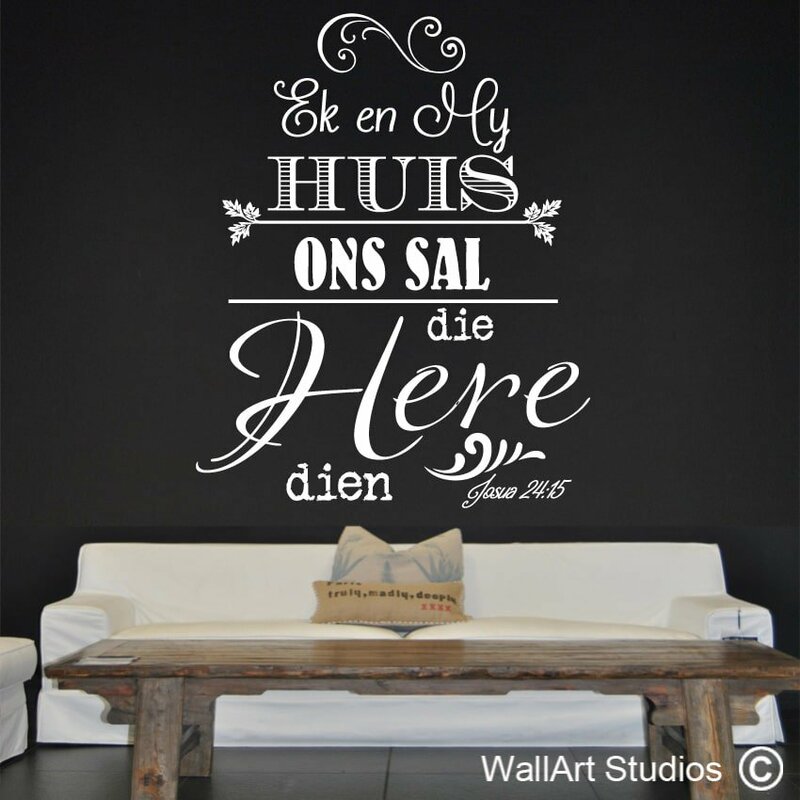 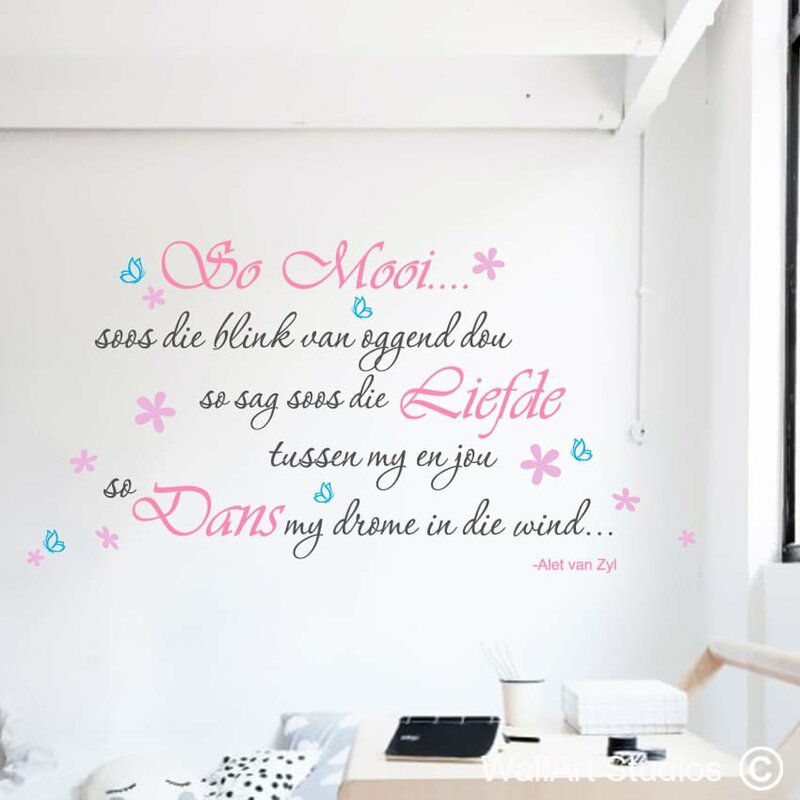 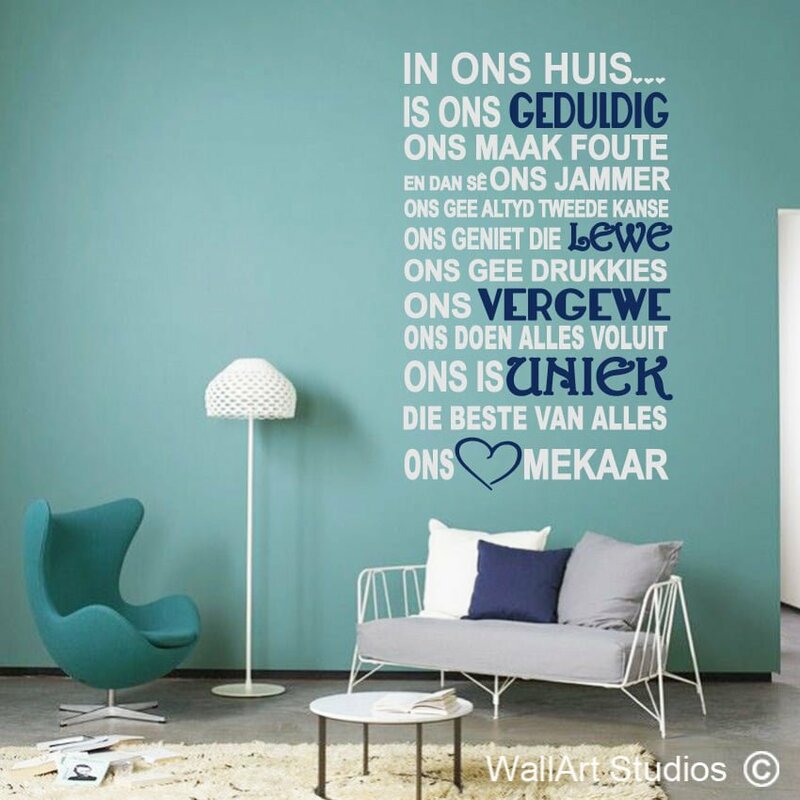 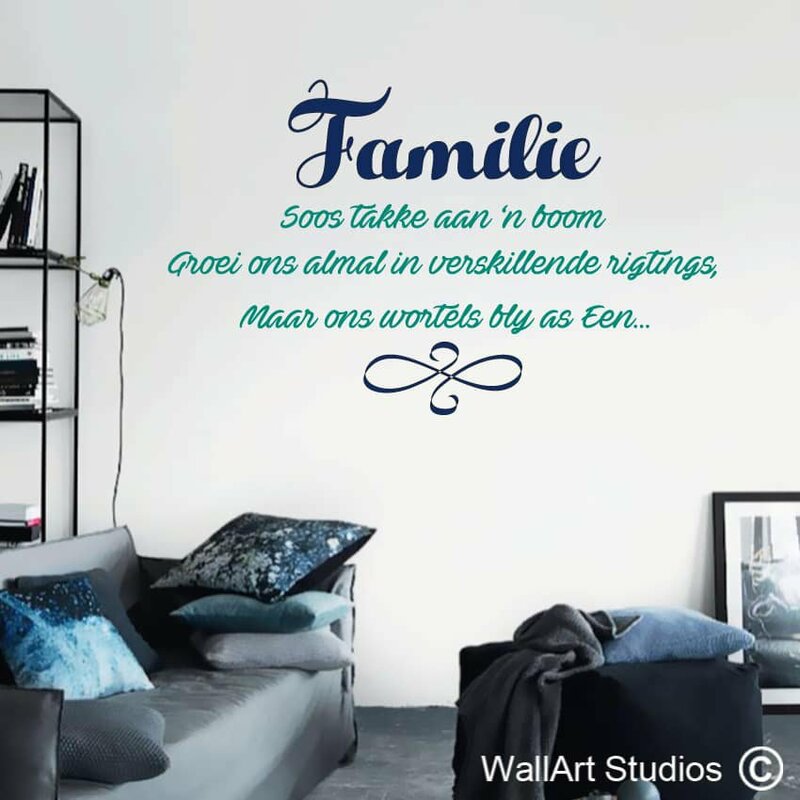 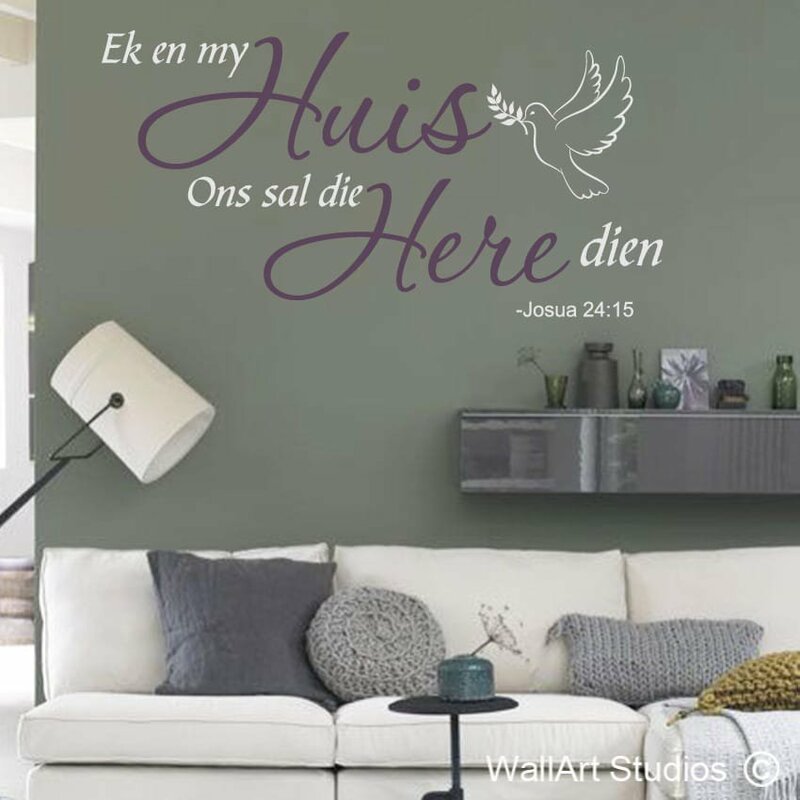 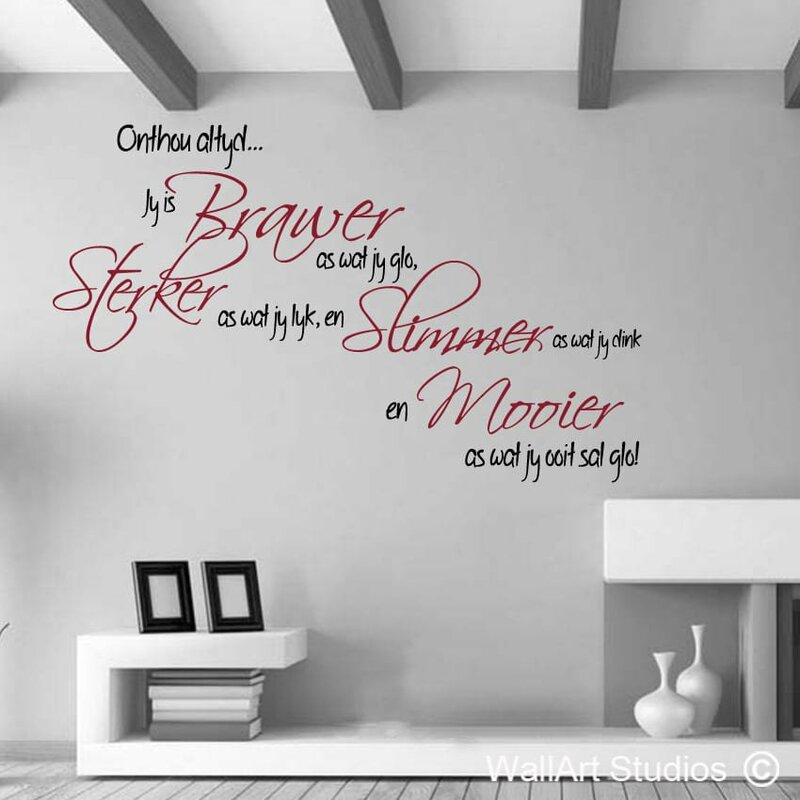 Unique South African wall stickers can be used to decorate your home or office. 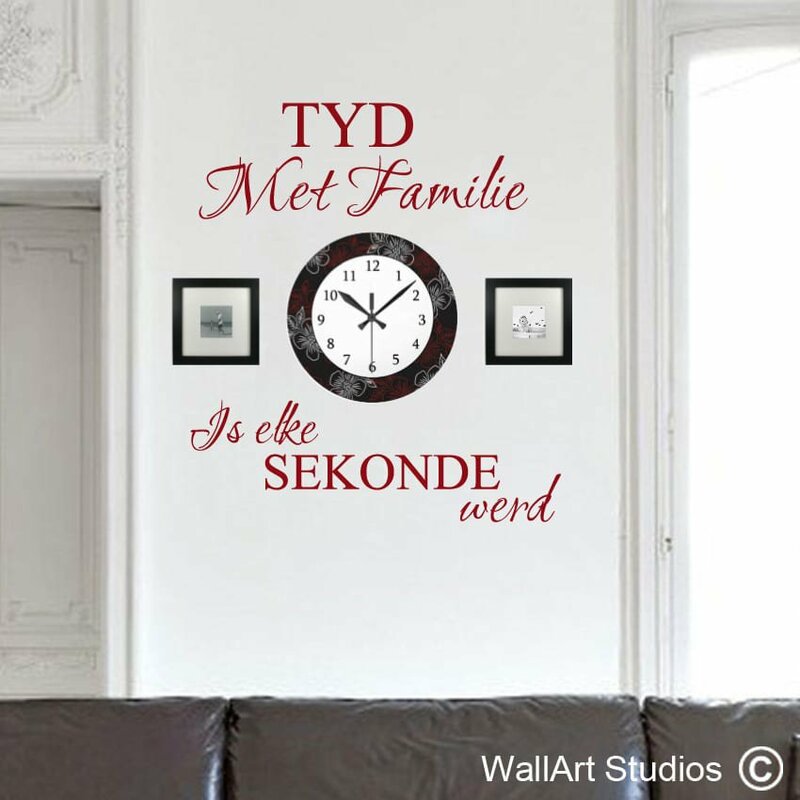 Afrikaans viniel muurplakkers, bybel verse en familie oomblikke. 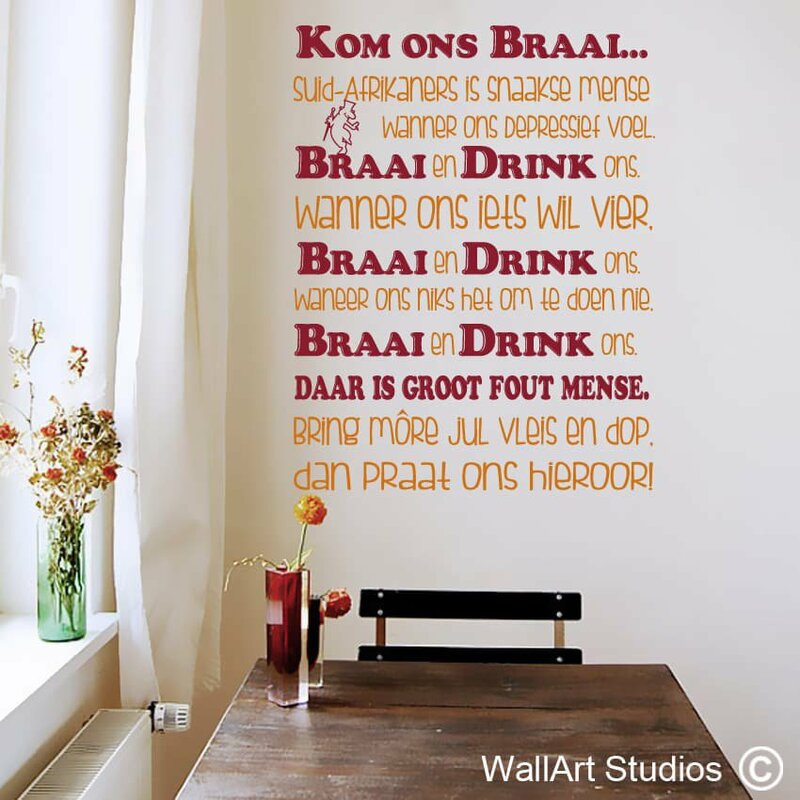 In ons Huis muurplakker, Brawer, sterker, slimmer muurplakker, Braai muurplakker, Droom muurplakker, kombuis muurplakker, skaatsplank ryers, muurplakkers. 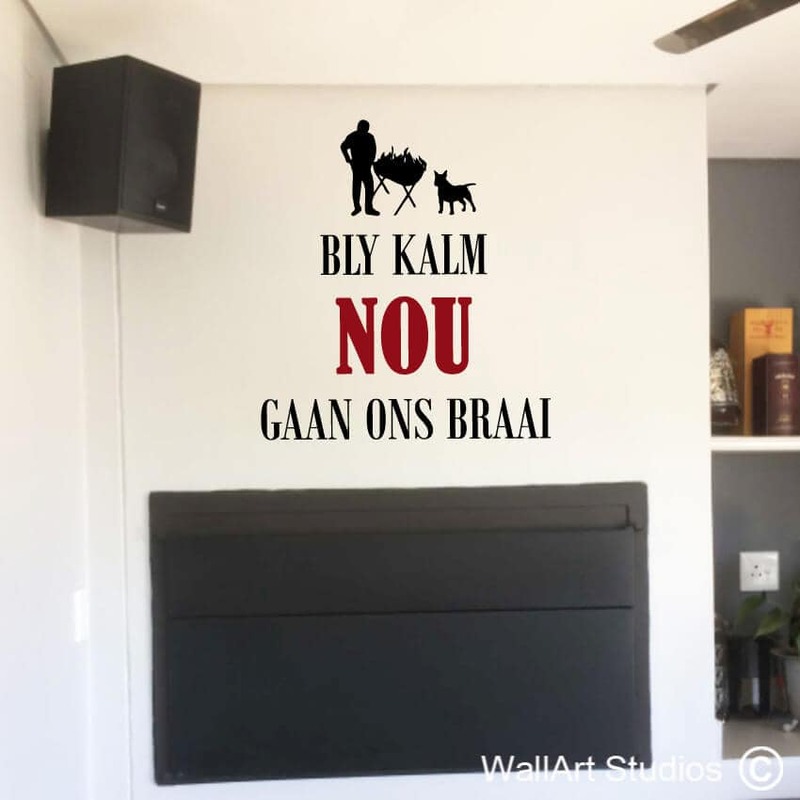 Muurplakkers vir seuns kamer, muurplakkers vir dogtertjies, baba kamer muurplakkers. 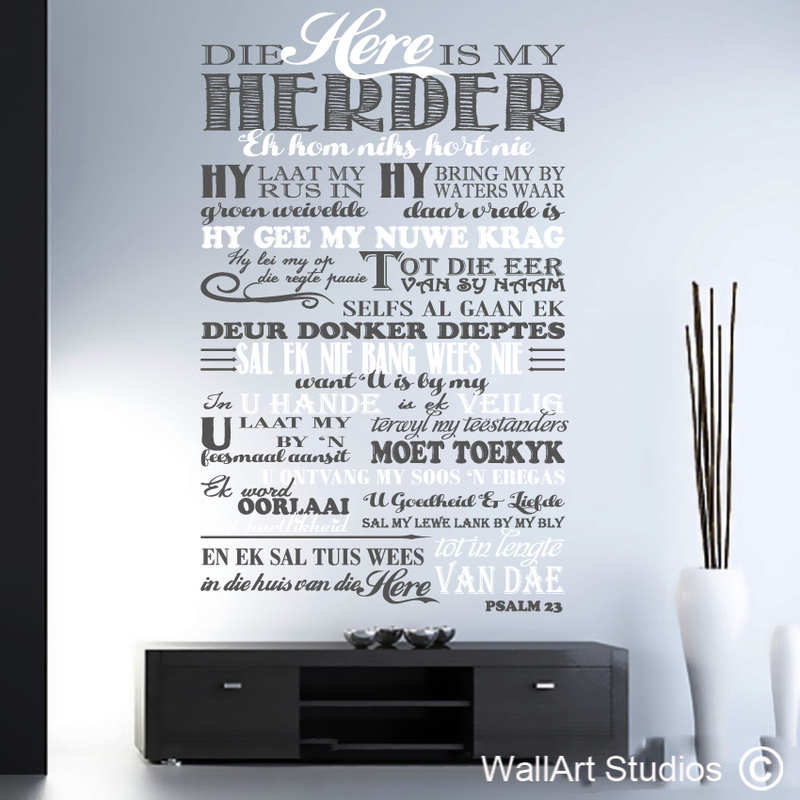 Our range of bible verses are also perfect for your church walls. 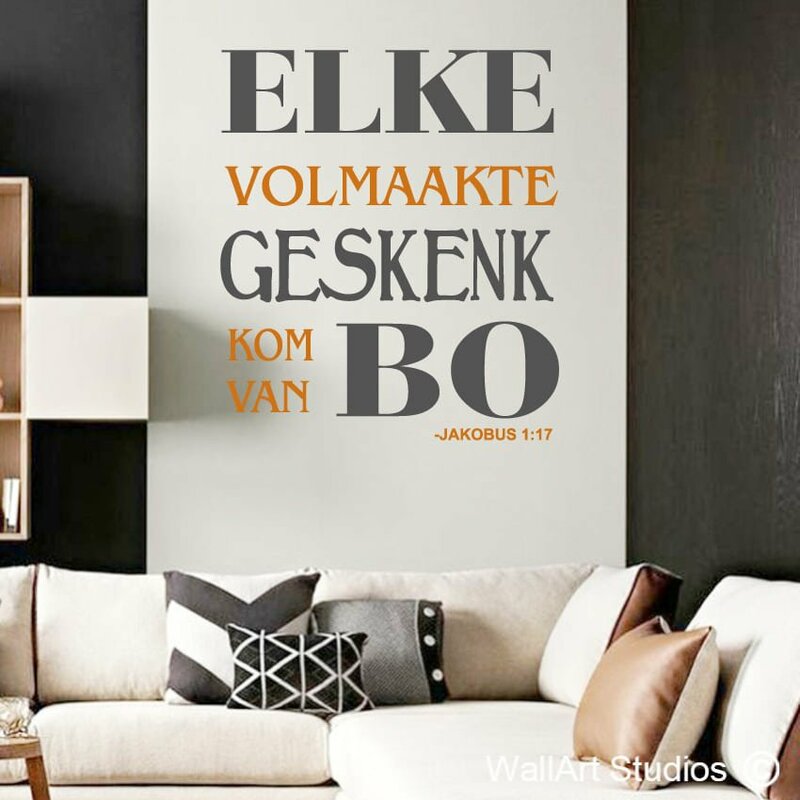 We specialize in custom designs, you can email us your request for a quote. 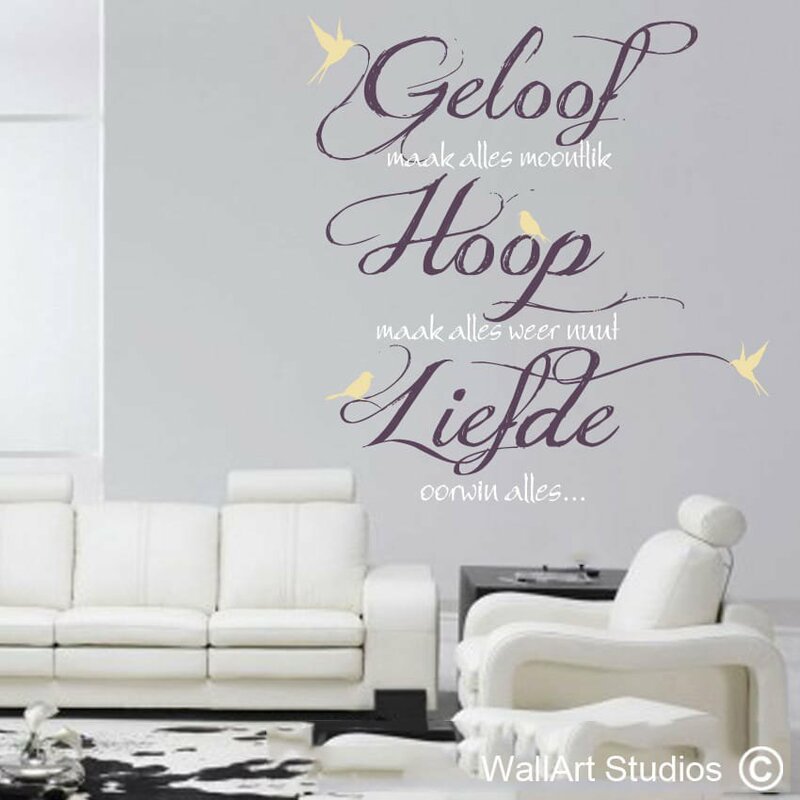 We have 3 sizes and are not limited to size at all, think BIG! 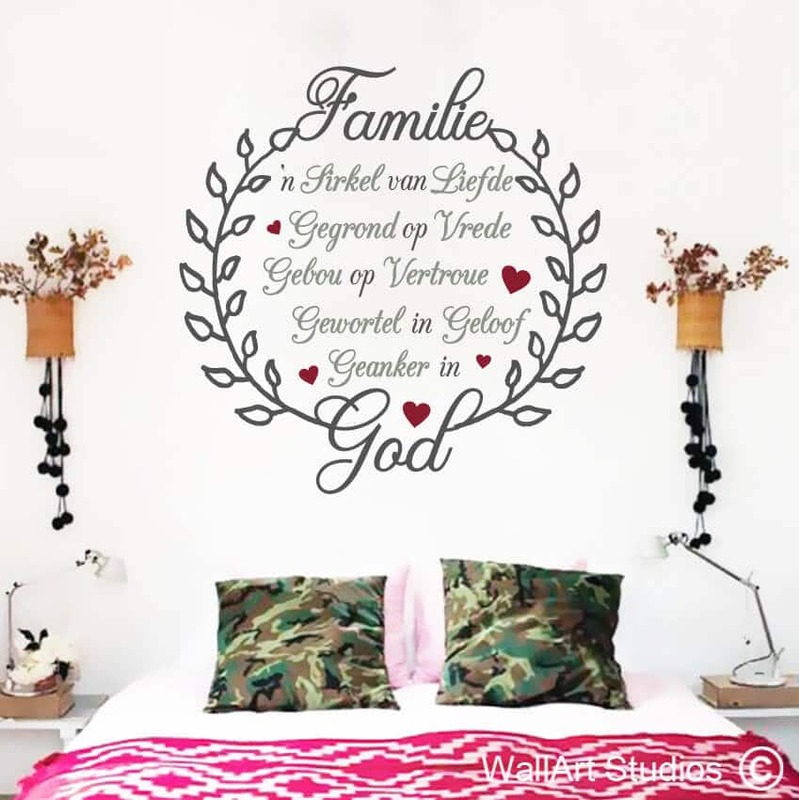 Our wall art vinyl is washable and removable without any damage to your walls. 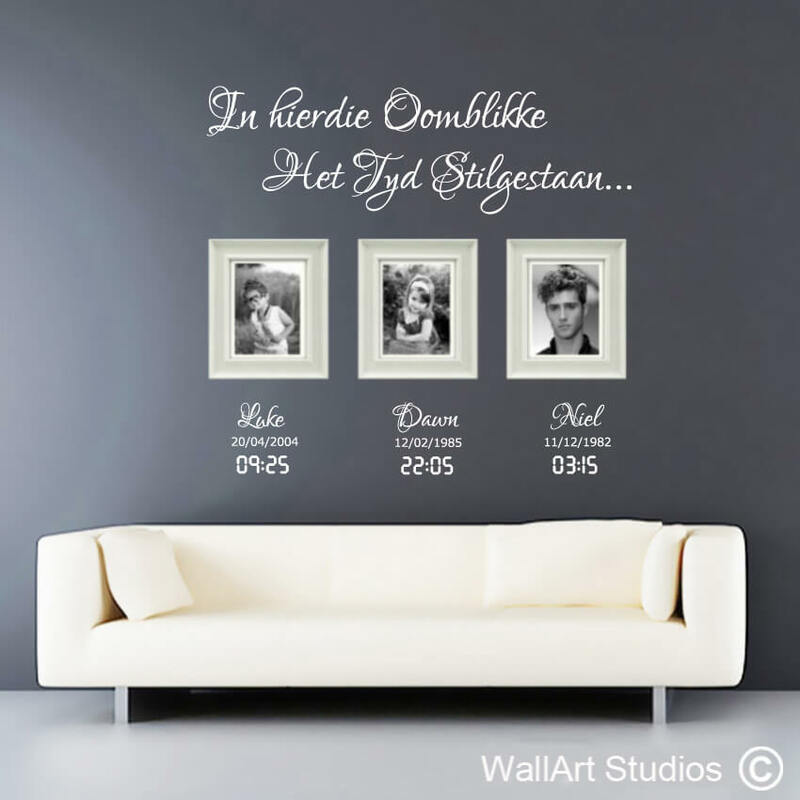 Great for if you are renting or staying in a student digs. 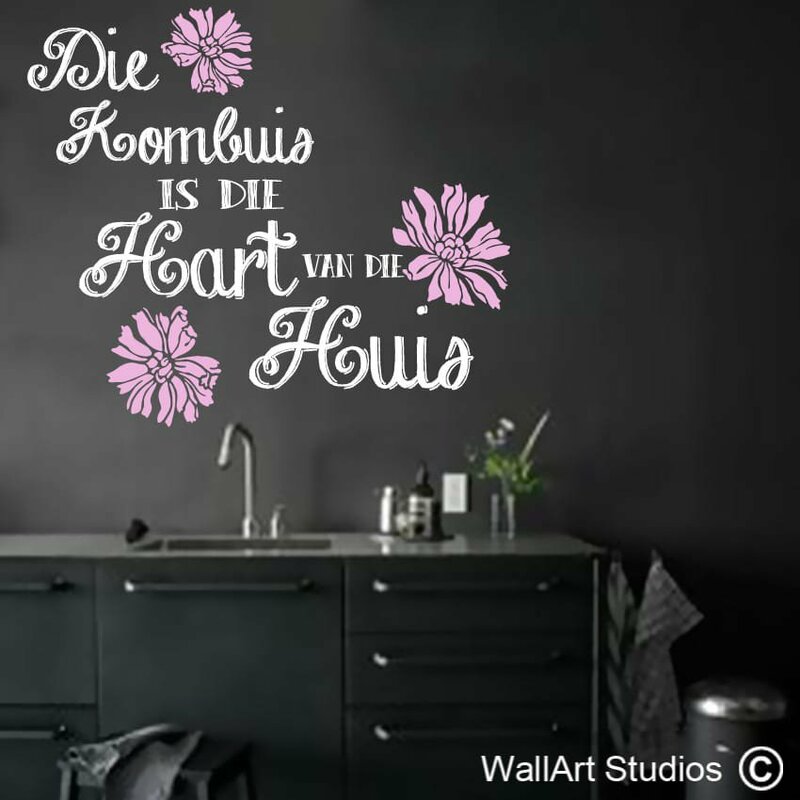 Easy to apply, no mess, no fuss. 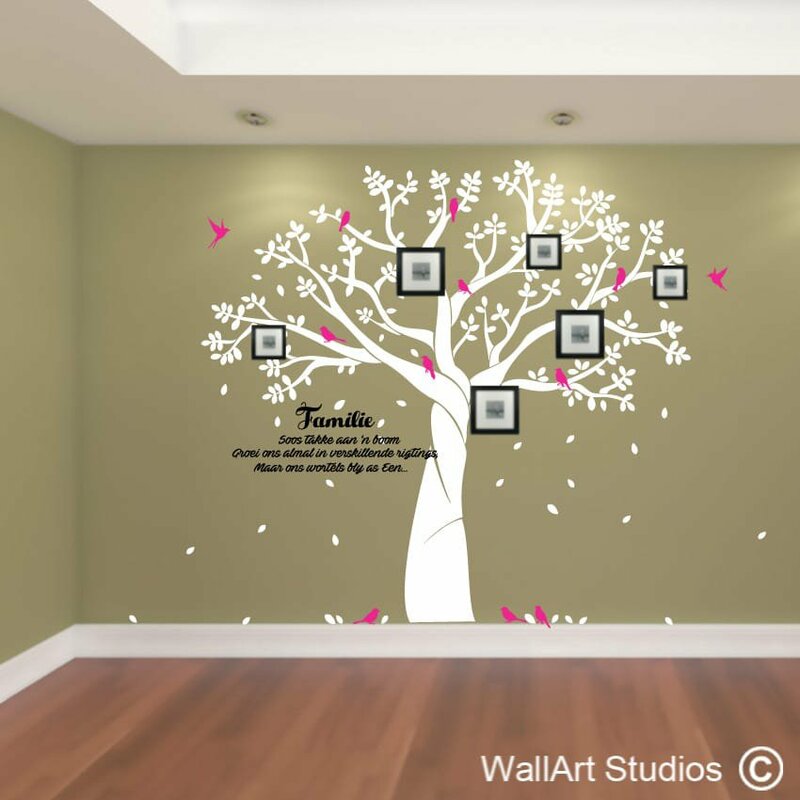 We give very detailed instructions on how to put the wall art decals on. 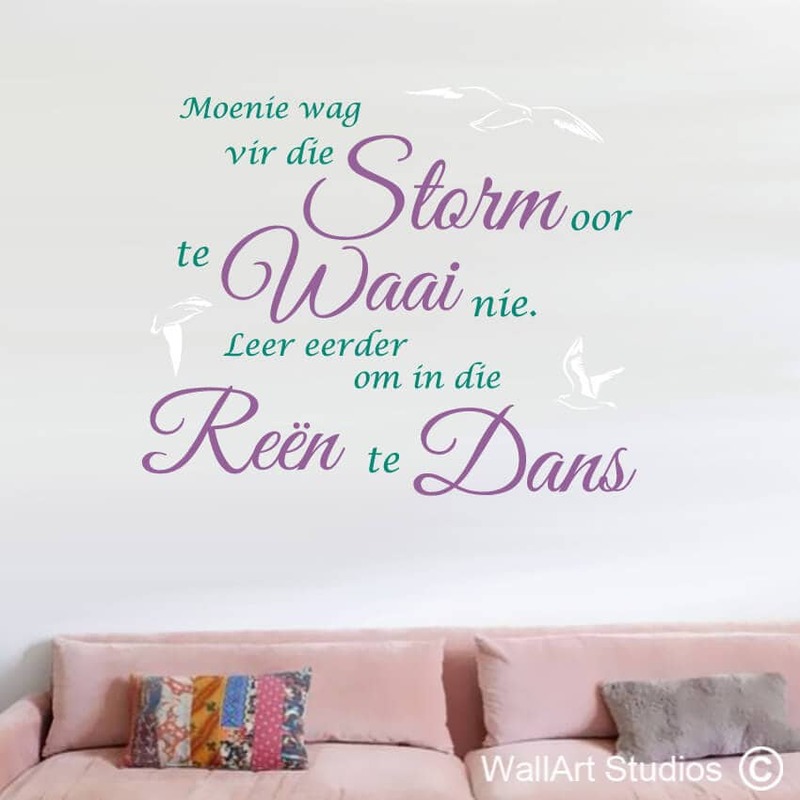 Shipping worldwide and door to door courier in South Africa.